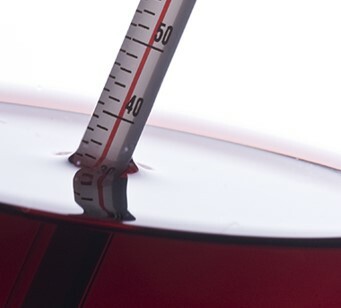 Home Uncategorized Sommelier tip’s : What Temperature should you serve your wine ? A temperature too high will increase the sensation of alcohol, making the wines warm, unpleasant for tasting. It is always better to serve a wine too cold than too hot because it is easier to bring it up the temperature. Whatever the type of wine (Champagne, white white, red wine or sweet…), Un Grand Vin (Champagne millesimé or prestive, Grand Cru ) will be served always a little bit warmer than normal.